Are you looking for a new job and nervous about how you’ll do at interviews? Even when you have had what seems like an endless number of job interviews, interviewing may seem like it doesn’t get any easier. After all, you are in front of new people, selling yourself and your skills each time – so how do you ensure you do everything possible to nail a job interview? Here’s why: an interviewer may ask what your sense is in regards to their company’s position in its industry, who the competitors are and what the company’s competitive advantages may be, how to best go forward, etc. Instead of thoroughly researching a dozen different industries, focus your job search on just a few industries. Make your selling points clear – if you communicate your selling points during a job interview and the interviewer doesn’t get it, it’s a no win situation. Instead of burying your selling points in long-winded stories, tell the interviewer clearly what your selling point is first, and then follow it with an example. Be prepared to tell the interviewer what makes you the best candidate for the position and why you want that job. Clearly communicate what interests you about it, what’s valuable about the rewards it offers, and what are the required abilities that you can offer. The truth is, your chances of getting a job if you don’t show you’re genuinely interested in it, no matter how good you are, are very slim! Pick any list of common interview questions, focus on which questions you’re most likely to encounter, based on your age and status (about to graduate, looking for a summer internship, seasoned professional, etc. ), and then prepare your answers so you won’t have to fumble for them during the actual interview. Be ready to handle sensitive, inappropriate, and even in some places illegal interview questions, such as your race, age, gender, religion, marital status, and sexual orientation. You can answer with a question along the lines of “I’m not sure how that’s relevant to my applying for a job”. Many interviews start with this question, but the real question here is how do you respond? This is actually a golden opportunity you don’t want to miss! While you can certainly tell a story of where you were born, how many brothers and sisters and pets you have, what school you went to, etc., wouldn’t you rather talk about why the company should hire you? Tell the interviewer the three things you think are most important for him or her to know about you (your key selling points), and also leave room for them to let you know if you’re missing what they want to hear. At the same time, ask if they’d like you to expand on each point – this strategy enables you to focus the first 10-15 minutes of the interview on your main selling points. Some studies indicate that we make up our minds about people in the first five minutes of the interview – and that the rest of the interview is spent finding things to confirm it. Here’s what you can you do in those first five minutes: come in with good energy and enthusiasm, express your appreciation for the interviewer’s time, and continue with a positive comment about their company. Be present, amicable, grounded, and radiate positive energy. Being polite is great, however some usually assertive candidates tend to become overly passive during interviews – and being polite doesn’t equal being passive. Like any other conversation, a job interview needs to be dynamic – so please do not just sit there waiting for the interviewer to ask you about an accomplishment of yours you so proudly listed on your resume. Take responsibility for how the interview goes, be politely assertive and make sure your interviewer leaves the room knowing your most significant selling points. One of the most common interview styles today is to ask job prospects to describe their experiences that demonstrate behaviors that the company deems important for a particular position. For instance, to talk about a situation when you made an unpopular decision, displayed an admirable level of persistence, or had to make a decision under (time) pressure and with limited information. While it’s not that easy to anticipate the behaviors your interviewer is looking for, what you can do is identify at least one example of when you demonstrated each behavior, and prepare a story for each of them. Many professionals recommend using SAR (Situation-Action-Result) as a model for the story, and whether you use this or another method, the key is to practice telling your story. Basically, always make an effort to close on a positive note. 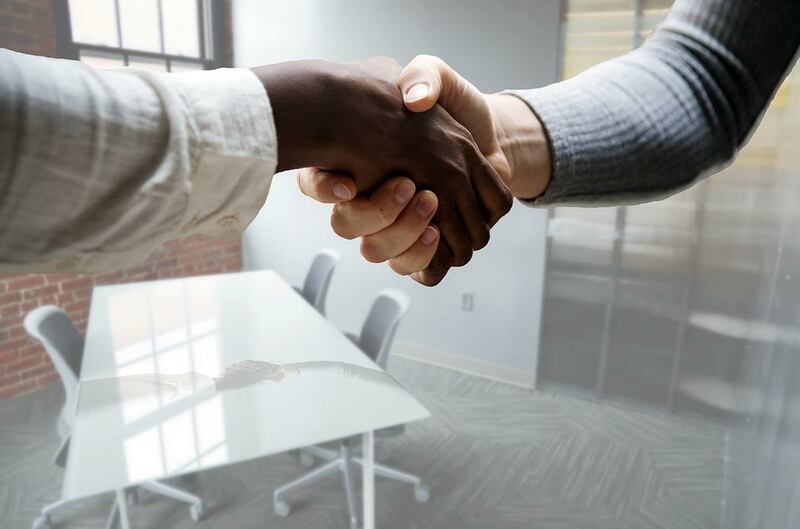 And, before you leave – tell the interviewer that you would really like the job, that you are excited about the possibility, and that you’re confident you’d be a great addition to their team. Provided you already took time to go over your selling points, attributes, skill-sets, etc., at close seize the opportunity to explain why you think this is the job for you based on your interests, what motivates you, and the rewards that would come with this position. Dress appropriately. Make eye contact. Give a firm handshake. Refrain from slouching. Speak clearly. Also, don’t wear perfume or cologne – interview rooms can be very small, the interviewer can be sensitive or even allergic to certain scents, plus, you want him or her to pay attention to your job qualifications and not be distracted by the strong scent you’re filling the room with! As you prepare your answers, say it out loud in a confident and convincing way. Most of us will sound muddled and hesitant first time we try it, even when our thoughts are clear in our mind – so keep practicing, even if it takes you more than 10 times, until you sound smoother and more articulate. Even better – get a few friends and practice interviewing each other, doing role playing of both the interviewer and interviewee, and do four or five rounds, switching roles as you go. If you cannot organize that, tape-record your answers and then play it back to get a better picture of how you sound and where you need to improve. Could be a no-brainer, but a surprisingly large number of interviewees do not bring a copy of their resume with them. Do bring a copy when you go to every interview – if the interviewer has misplaced his or her copy, or couldn’t print it, this will save a lot of time (and embarrassment on their part). After each job interview, write a thank-you note. Send them by email, or by regular mail within 48 hours of the interview. Customize your notes by referring specifically to what you and the interviewer discussed, what particularly excited you, or what you were really glad to hear. To help you with this, take time after each interview to jot down a few things about what the interviewer said and what seemed important to them. This is a great time to also capture what you think you could have done better so that you can make adjustments before you head off for your next interview. Finally, even if you had a bad interview and you truly think the job would be a great fit, don’t give up – write a note, send an email, or even call the interviewer to thank them for the opportunity and to let him or her know that you think you did a poor job of communicating why you think this job would be a good match. Don’t be shy to reiterate what you have to offer – this approach can work for you and you have more to gain than to lose! We hope that by following the above strategies you’ll be better prepared for your next interview. If you need help with Internet marketing, choose the RODA marketing team, and our passion for building trust and lasting relationships, paired with our experience and proficiency in helping businesses with digital marketing – leading to more sales for you. Check out our portfolio and contact us to see how together we can take your business to higher levels of success.